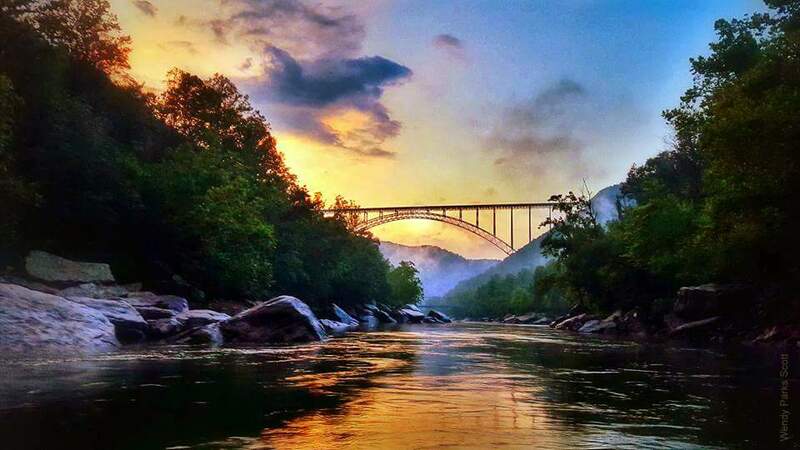 For more than a year after this iconic photograph of the New River Gorge hit social media, West Virginia Explorer editor David Sibray spent countless hours attempting to find its then-unnamed source, Wendy Parks Scott. 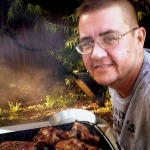 Scott had published the popular image without a watermark, and the image went viral, so it appeared the editor might never get a chance to publish the image when, scrolling through Facebook on Sunday afternoon, he found Scott, who had replied to a post by a mutual acquaintance who had re-published the photo. “Her composition has everything — the New River Gorge Bridge, the river, the fog, and the darkening rocks, and she’s captured the character of the gorge after a warm evening rain in a way I’d not seen before,” Sibray said. Scott revealed in a correspondence with Sibray the circumstances during which she captured the character of the moment. “[It’s] one of my favorite memories on the river. It rained so hard as my husband was rowing us down the lower [New River]. The clouds [in the] top left corner formed a heart before I could get the camera out,” Scott wrote. However, Scott said an enlarged version of the photo has been printed on canvas and hangs in the photo lab at the CVS in Fayetteville, West Virginia. Reproductions of the photo are available for sale, about which Scott may be reached through her Facebook profile. Sibray has since added a watermark on the photograph as it appears at West Virginia Explorer. “I routinely advise photographers who share their work online to add a subtle watermark to identify themselves, because once it’s published to the Web, it’s anyone’s guess where it may turn up or who might claim it,” he said. The lower New River in southern West Virginia is one of the most popular whitewater-rafting runs in the eastern U.S. More than 100,000 rafters book rafting excursions on the New and nearby Gauley rivers annually. The gorge is also among West Virginia’s chief destinations for hiking, climbing, and biking and for other forms of paddling and outdoor adventure. Next articleNational Park visitors spent more than $58 million in so. W.Va.